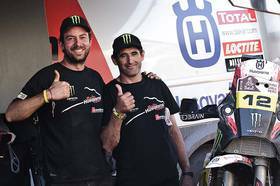 SA-Dakar Rally: Husqvarna Speedbrain Team happy about 6 podium finishes. The Husqvarna Speedbrain team offers a positive summary of the recent Rally Dakar. Four out of five riders reached the finish in Lima. This debut result is highly encouraging for the team and the Husqvarna brand, as the new bike proved its worthiness right away - completing the race without a single technical failure. The highlights were six podium finishes and one stage victory. 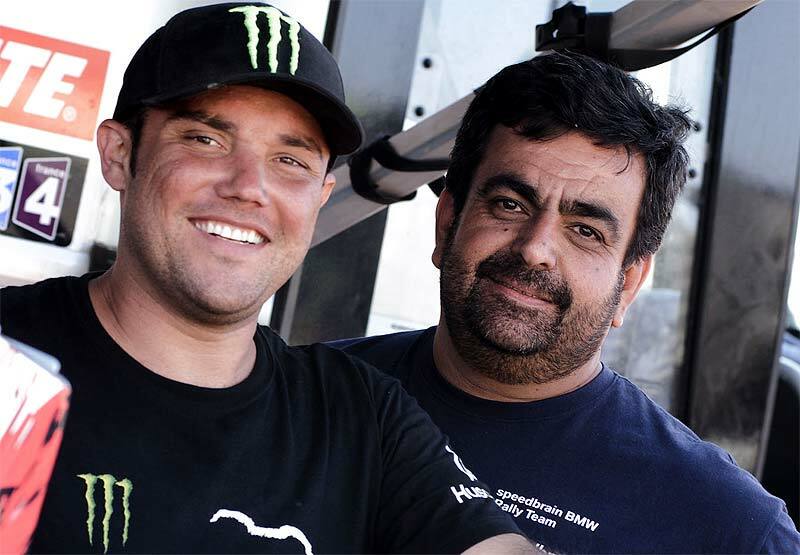 This was part of the initial objective, which the team had targetted for the Dakar 2012. The team was consistenly fast with two riders regularly up front - even if the aim to put one pilot on the overall podium couldn´t be fulfilled. The outstanding motivation of the team was tested with the jury decision against Paulo Goncalves. Also, Joan Barreda experienced bad luck during the stages three and four, when the talented Spaniard suffered from a crash and a broken rear wheel, which costed him a lot of valuable time. Barreda couldn´t make up the loss until the race end. "Joan has the speed to run with the two best riders in the race," says team principal Wolfgang Fischer. "His stage results definitely give proof and he would have deserved to stand on the overall podium". Paulo Goncalves was most likely a top five finisher in Lima, if not for the incompehensible jury decision. By the way: Joan Barreda was by many considered the revelation of this year´s Dakar. He was matching the speed of the top riders and is regarded as a man of the future. Jose Manuel Pellicer performed as an excellent team addition. He was always there when needed, i.e. helping Barreda out of his rear wheel problem. Pellicer was a last-minute replacement, but he nevertheless integrated himself seemlessly into the team and earned everybody´s respect right away. Zé Hélio rode a steady race to finish inside the top twenty. His final result shows the depth of the field. 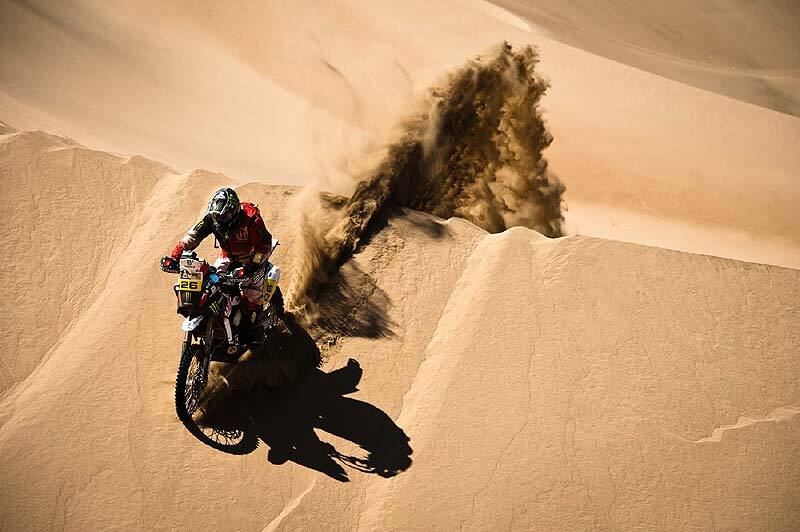 Each year the Dakar becomes more and more competitive, especially at the front. Finally, the team would like to extend the very best wishes to Ike Klaumann, their fifth rider. The Brazilian is on his way to a full recovery, after having to quit the race following a crash. The team returns home on Tuesday after the podium ceremony, where preparations for the new season will go underway.